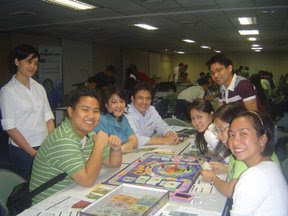 I recently have attended the February 17, 2008 Think Rich Pinoy Seminar at PhilAm Life Building in Ma. Orosa Street, Ermita, Manila. It was an event I cannot forget that changed my life. Wealth building through real estate by flipping foreclosed properties is one shot deal that can generate income for you and your loved ones. There are pros and cons in real estate but this one could get you rich in no time at all. 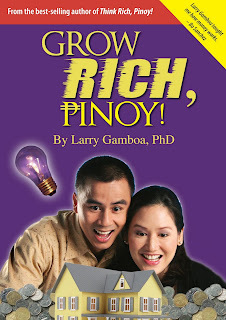 Dr. Gamboa and others like him have dream of making one million rich Filipinos by 2010. It maybe impossible but with proper attitude and mentoring anyone can be a millionaire by that time. "We do not have to go abroad and keep our country's economy afloat with our skilled OFWs leaving our shores and working hard to both ends meet, we can make entreprenuers of our OFWs as what Dr. Gamboa", said in his statement. Financial education through real estate and other income generating schemes can arm every Filipinos with the knowledge of wealth building and at the same create passive income for their benefit. The investments made will work for them in no time. One of the most notable real investor in this type of business was Robert Kiyosaki, author of the Rich Dad, Poor Dad and co-author of other Rich Dad series of books who inspired Dr. Gamboa into this type of business and serves as his inspiration in creating a book called "Think Rich Pinoy". Think Rich Pinoy is an adapted version of the Rich Dad, Poor Dad for Filipinos to understand. The principle of flipping property and its concept are still the same but simplified. I have read the book since last year and at the same time bought one of his book follow up, Grow Rich Pinoy, which emphasizes on flipping properties with little or no money at all plus with the help of course of rehabbers, lenders and other private investors by using Other People's Money (OPM) concept. I have met other people who are still in the rat race who want to be investors and entrepreneurs and owning their own business. Dr. Gamboa emphasizes the empowerment of every Filipinos to financial freedom. It was a good thing that I met Dr. Larry Gamboa, Ph.D. himself on the flesh and maybe in the future would be a future franchisee of Think Rich Pinoy.